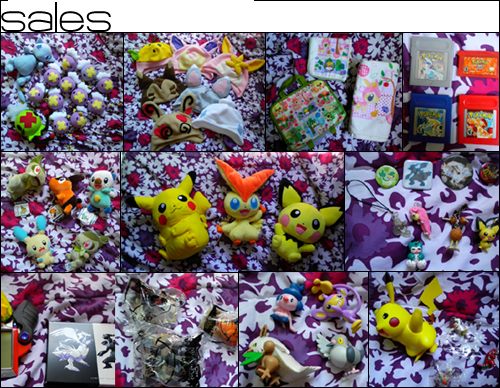 Hey everyone, just quickly letting you know that it's finally total cleanout time and I have gathered almost all my extra plushies, figures and other things into two huge Ebay lots. I really have to get them out before I move, so I hope they'll get a good new home! Thanks to everyone who has helped me get a lot of tomy figures for my collection. 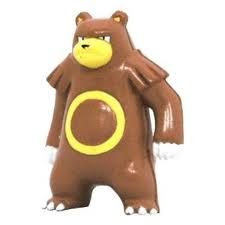 I'm sorry to post so soon but I missed 2 rare Tomy figures I needed on eBay and hope to have better luck this time around. 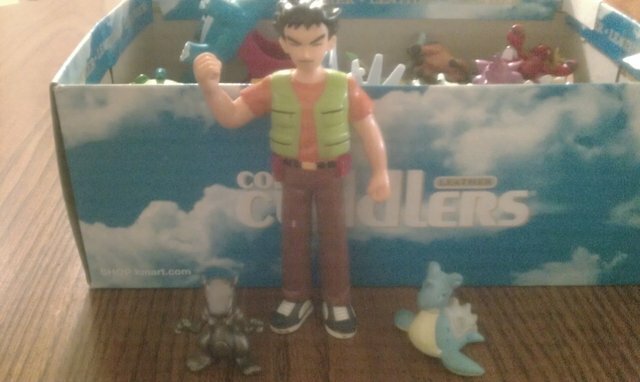 I have obtained all but 4 Kanto pokemon figures which is pretty amazing. 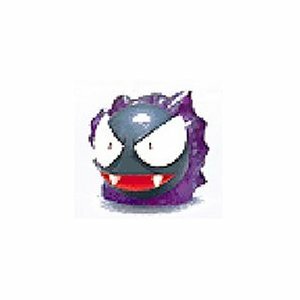 I still need the following: Nidoqueen, Gastly and Electrode ( the two I missed), and Ditto. Plus some rare ones. Thank you eveyone, I'm so happy that I decided to join back in February. Special shout out to poke_zula who helped me get my Grail, Breloom tomy! They have both male & female models available in all sizes. If you sign up for their newsletter you get a 20% discount on your first order. I have no experience with them but I'm ordering! They have some more shirts that are Pokemon inspired but I didn't really like them. I seriously have to apologize once again. I'm very concerned with my lack of motivation and how it's impacting my ability to work on my sales or anything else. I'm trying to get my thoughts in order, and I'm forcing myself to update BlackjackSales this week. 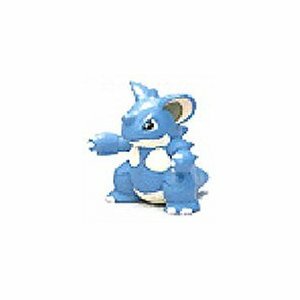 In the meantime, I started Collector Blackjack Wants To Battle, and I may post sales stuff on there as well (though of course it will all be on BlackjackSales as well). I showcase my collection stuff and blather on about them to varying degrees. If anyone is interested. My sister keeps saying how she wants these shoes. Anyone know where I can get a pair? Hello my dear pkmncollectors, here's my contest entry. 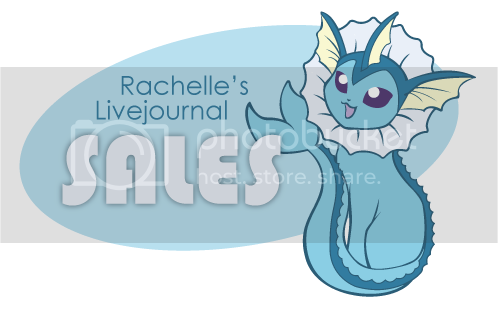 Something important has come up, so in preparation, I've basically doubled my store's inventory. 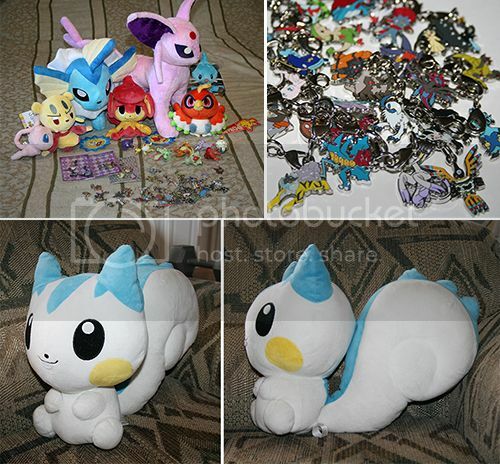 :) There's an Umbreon clipping figure, a DX Pachirisu Pokedoll, and lots more! 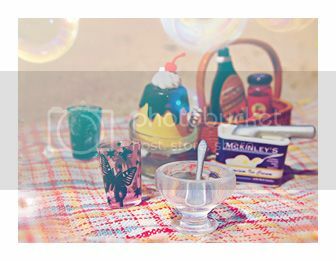 Click the banner or here to check it out! groudon plush + figure questions, collection complete! 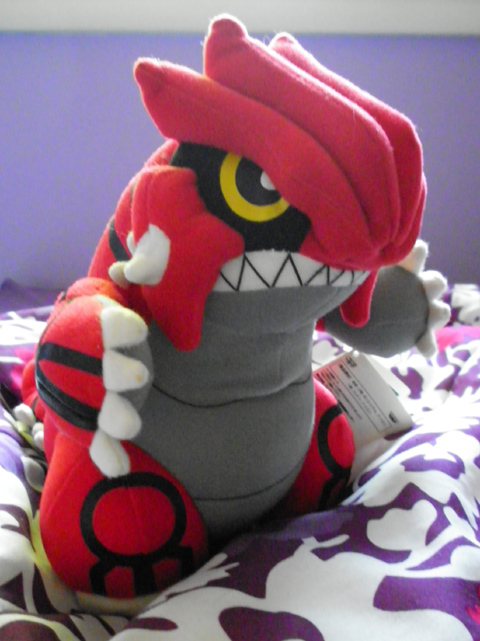 today i recieved my Groudon plush from Schenzi's GA! thank you so much Schenzi! now, i have some questions about this guy if anyone can help me. either way, i am very happy to have him! 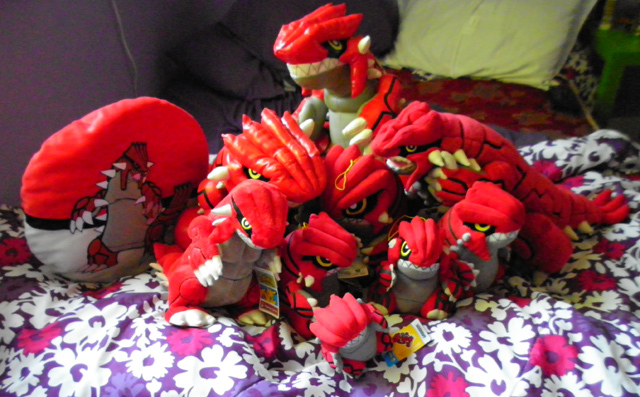 MY GROUDON PLUSH COLLECTION IS COMPLETE! i have lots of premade custom plush and hats! i am working on finishing commissions this week. 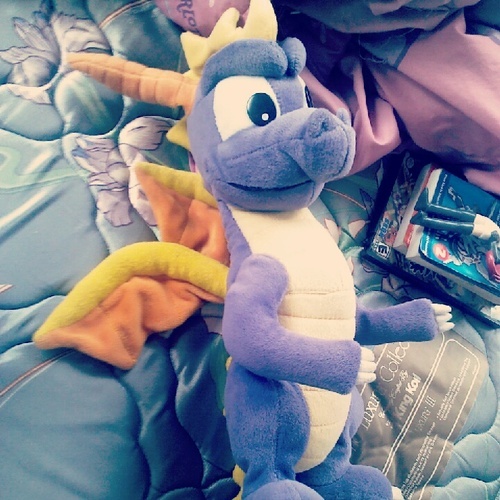 i ended up not being able to get more stuffing for plush until today! but i will be working hard to finish. 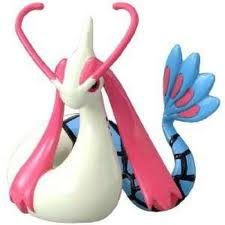 finally got shipping totals from Noppin for my meloetta GBs, i ended up paying it myself since it was cheap (being sent airmail) and so i can combine the last two payments. All my plush are made of 100% fleece and lines are hand embroidered or painted, commissioner's choice. 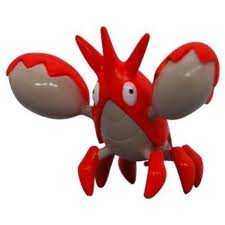 If you're interested in a commission, please list a few Pokemon you might want, as some might be too complex in design for me to plush. My Pokepillows are generally around the dimensions of 8x10inches depending on the character. 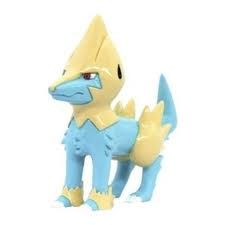 They are typically the head of a Pokemon, unless the Pokemon is basically just a head (ex: Crobat) and have a solid color backing unless something like a tail is sewn onto the back. 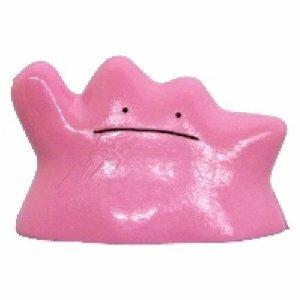 They cost $20 but can go up to $25 if there's a lot to go into it like with the Landmin and Crobat examples under the cut. i also have 65867546854678456 collection updates i've been putting off, including some that are amazingly amazing!! so amazing!! for now, i bring you, october kids! notice something? they are mostly NON B/W POKEMON!! waaaooooo!! 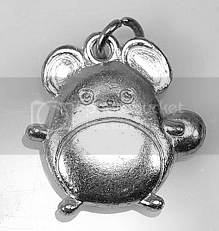 also, does anyone know how much silver marill charms go for? Quick auctions before vacations ! The chance to do some good deals ! There will be no reminder, the auctions are opened for 48h. To the participants of the MPC set 16 GB : There will be no specific payment that needs to be calculated, because I did few other purchases. I'll ask to noppin my amount in less than a week. The total is of $3 each but I'll reply to each original threads in time. I can finally say it - grail get! 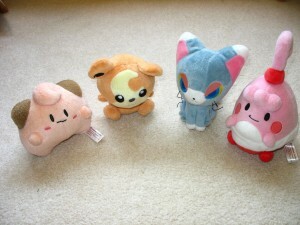 Since I joined here around 2009 there's been one plush that has always been out of my reach. I've only ever seen it twice, one was an ebay listing and one belonged to a member of this community. For anyone who participated in my Group buy of Chous, they arrived! Hello! It's been so long, haha been so busy with it being summer + con season. 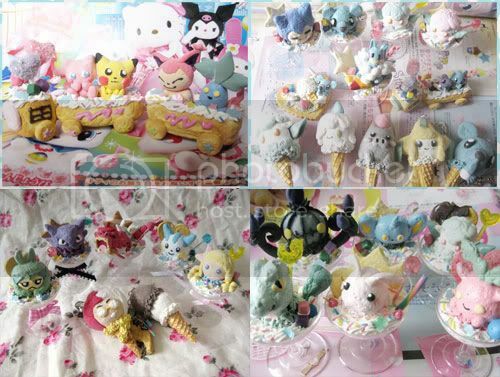 :) However it's back to slowing down and crafting as well~ I come with poke parfaits open for commissions since I also got a batch of new supplies. As a result my price range is lower ^^ ~! 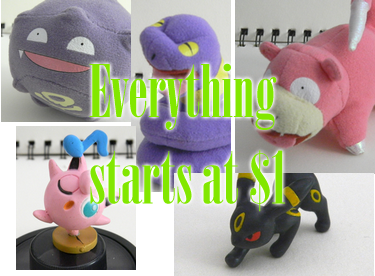 There are a total of 8 slots, and I am opening commissions for poke parfaits and squirtle breads. 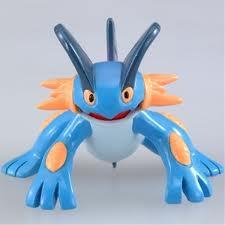 There is an auction for a poke sweet train as well. Hey guys. I've decided to do a little bit of collection weeding to narrow my collection down to plush, charms, and flats. 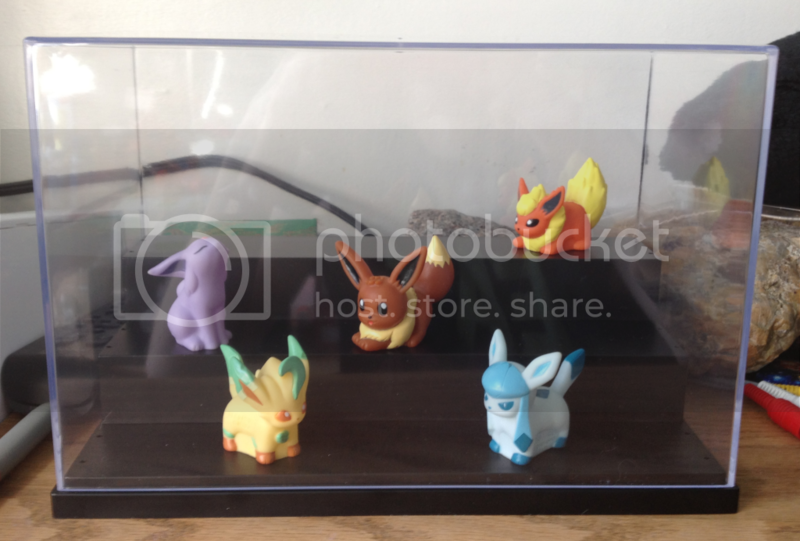 Therefore, I have some Eeveelution Kids for sale! Hello! I've found something that I would like to run a group auction for. I was granted sales permission, but (reading over the rules) I've learned that you need to have someone who has worked before to run it and to be completely honest I would feel much more comfortable if someone could help me out with it. Would anyone be willing to help a pal out? Thank you! 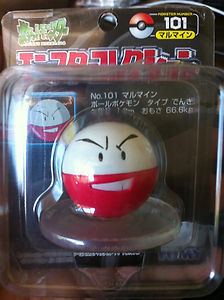 I THINK that a couple of weeks ago i asked about a SILVER TOMY MEWTWO figure that a LiveJournal member was selling. I'm pretty sure that i paid for the item...but i'm not sure. 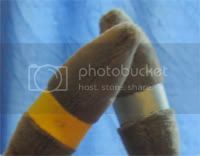 If the seller of this item could contact me about it and let me if i paid for it and if i did, did they ship it. Really sorry about the confusion guys! 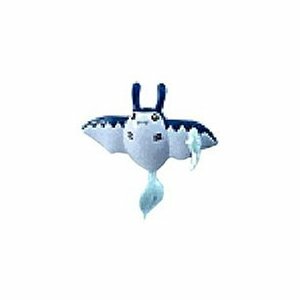 I've loaded the photo of the actual Mewtwo from their sales page (sorry to the seller if i am using your photo, it is only as reference). Thanks! If anyone else can help that would be great! Question: Blue and white Christmas plates? 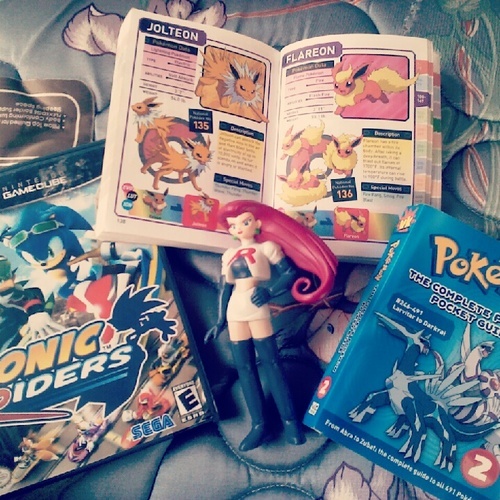 These are from 2000 (left, with Pichu pretending to sleep :D) and 2001 (with the pokemon outside the house). Are these the only plates in this sort of style...? I've seen full colour plates and some with gold inlay but I'm only really interested in ones like this! I have the 2001 plate already and just won the 2000 plate in an auction (very stoked) - is that it? Am I safe from super rare plates that are probably covered in eevees or something oh god? I'm really looking forward to the 2000 plate to arrive so I can see it next to the 2001 plate I have already. 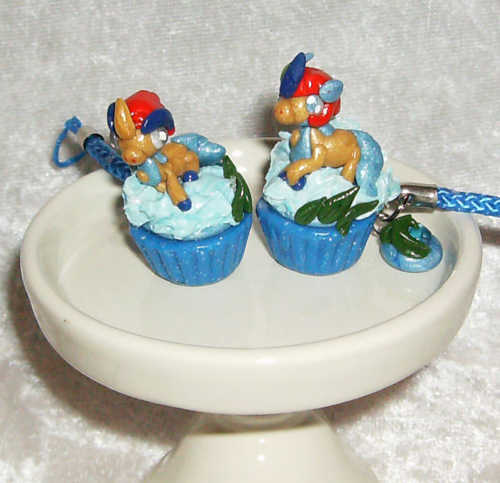 :D One day I'll use these to serve cookies once a year at Christmas, and have them displayed the rest of the time. <3 I think they'll look nice! But in terms of display set ups I think 3 plates would look nicer! Hi all! My posts have been fairly boring lately so I thought I would do a collection update of my Retsuden stamps c: I posted my wants for them about 3 weeks back, and have managed to accumulate a decent amount since then! As always, I'm very interested in purchasing any Retsuden stamps, so give me a shout if you guys have any you'd consider selling! Hope you guys enjoyed the update. 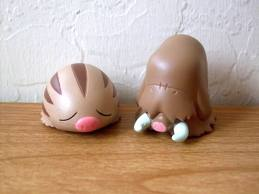 I'm also searching for the Wigglytuff and Beautifuly/Dustox/Silcoon/Cascoon Zukan sets if anyone's selling. No longer a lurker! Collection and sales!!! We'll let me share my collection with you, my fellow trainers! ...and for your convenience SALES! If you want to skip my collection post click my store banner below to be transported! I'm proud of my banner. <3 :D I was on a .gif kick awhile back. I thought to wait for my next collection update with this too, but it won't happen this week. So I might as well post it now. My friend hicke_chan was doing a collection weeding and I got some very nice buys from her, including tomys, shiny beast charms (I have the full set now~!) 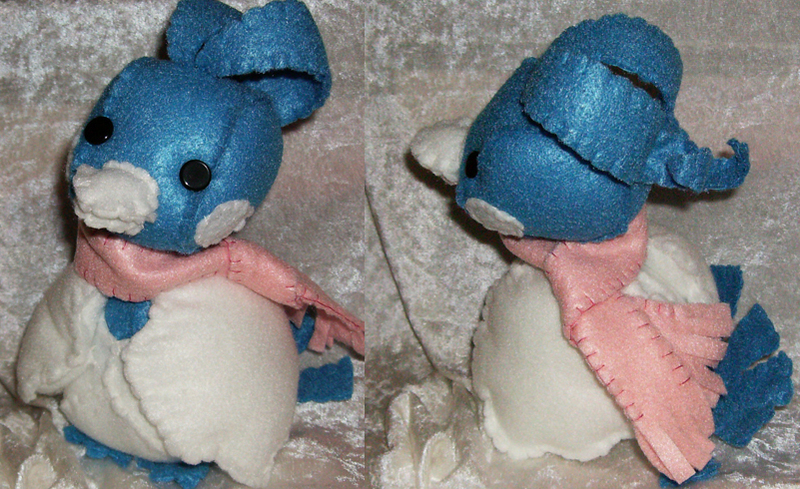 and a small Eevee plush. 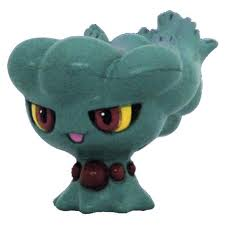 She also had another very cute and interesting plush, which I had admired and longed before joining this community, but I already had bought it here. Then she suggested that I could do a little customization to it, since it didn't have its tush tag. So I bought it anyway and made another shiny custom of my favorite shiny. 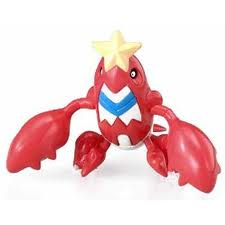 I also have some Yanma wants I could as well add here; Does anyone happen to have the tomy figure, clear kid or Jakks throw ball plush up for sale? 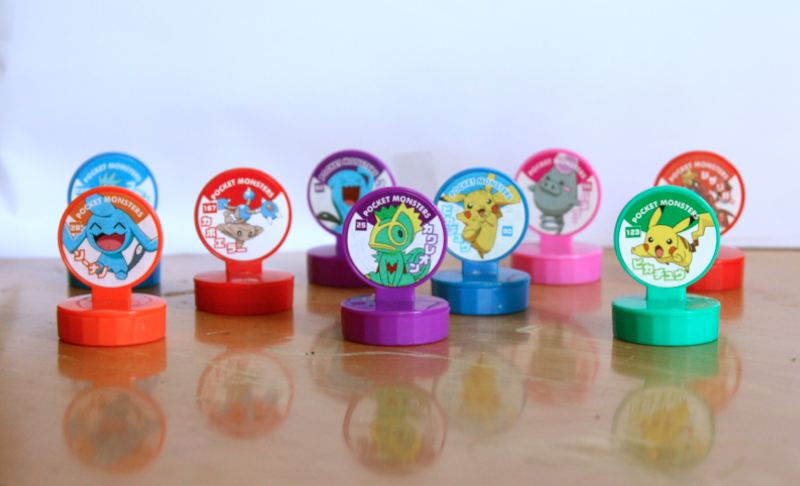 They are pretty much only non-flats I'm missing from my Yanma collection. 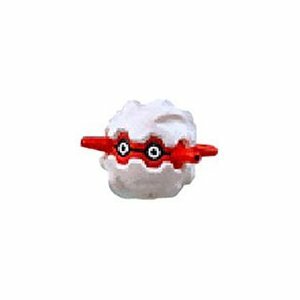 Or does someone know, if there is a mini model or metal figure of Yanma?